Ships Ahoy! 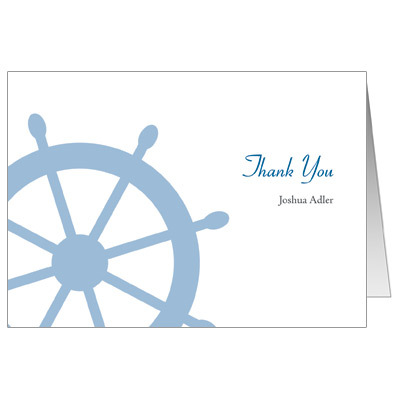 Thank your guests for coming to your travel theme or destination Bar Mitzvah cruise with this personalized thank you note card. Folded card measures 5x3.5.